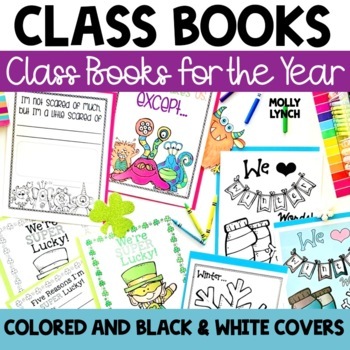 Class Books for the YEAR Bundle! Class Books are HUGE hit in my classroom library! Kids are often fighting to read these popular books since they are written by their favorite authors – them! To create, simply pick your preferred cover and set kids off to write! * Each book title includes a colored cover, black & white cover, and a student writing page using Melonheadz's adorable cliipart! Read my blog post about this Magical Machine!